The imagery on this card speaks for itself. Three Swords pierce a dark red heart while rain pours down from a grey stormy sky. The dark threatening skies symbolise the dreadful stress, pain and conflict this card is known to bring with it. There is no getting away from it, the Three of Swords suggests heartache, loss, hurt feelings, loneliness and despondency. The pain experienced by this Three causes confusion and bewilderment (symbolised by the grey clouds) as it can take people unaware. The stressful situation of the Two has developed and now there is no getting away from pain and suffering. Hiding behind a blindfold, refusing to take sides or make a decision is no longer effective in shielding you from an unpleasant situation. Three Swords have been plunged deep into the heart and to where it hurts the most. The intensity of the heartache can literally feel as if someone has just plunged a dagger through your heart. The torrential rain in the background symbolises the flow of tears we find impossible to stem when our heart is broken. Rain, however, is a powerful cleanser. The downpour during a thunderstorm clears the air and washes away all unnecessary debris so that we can breathe once more. The earth looks renewed and refreshed after a thunderstorm. Tears, like rain have incredible cleansing abilities and can greatly assist in washing away our sorrows. As the rain bursts forth from the clouds it triggers a huge emotional release. We must remember that we are dealing with the Swords Suit in this instance, so with this Three of Swords there is a good chance that these tears may not be travelling alone. They will more than likely be accompanied by angry words and vicious arguments. If conflict and stress have been building then this Three will indicate that the situation has become a pressure pot of pent-up emotions and anger. The number Three brings growth and development so if a row is brewing, then it is likely to blow. As we know, The Suit of Swords deal with communication, so one of the messages in this card is to talk about your pain or loss and not keep it bottled up inside. A problem shared is a problem halved. When we keep things to ourselves our perception becomes very narrow. We can become fixed in our opinion and views. When communication breaks down, great misunderstandings can occur. Our mind can create all kinds of nasty scenarios, complete with villains and victims which we instantly believe. We can waste years nursing our pain and blaming others based on pure speculation or presumption alone. We may have it all wrong. Seeking the help of a counsellor or just a good friend can throw light on the dark areas of our mind and soul. It can help us see things in a different light and the unnecessary damage we are doing to ourselves. The Three of Swords advises you to open up and let it go. The Threes generally indicate growth but the Swords approach this in the most difficult manner suggesting that there is “no gain without pain”. Often after we have healed we find ourselves stronger and wiser. We can thus experience a growth in our personality and character even if we have gone about it the hard way. We will all encounter the energies of the Three of Swords at some stage in our life for we will all experience loss, sadness or disappointment on some level. How we deal with it will determine whether we grow in spirit and character or whether we let it wither and embitter us. *When we re-join the Swords on their journey in Card IV we will see how well they are coping with such levels of stress and discover where it will ultimately lead them. Thank you for your lovely comment and glad you found the interpretation useful. Can you elaborate on why/ how this card represents a nun? Hi Nick, In answer to your question about the Three of Swords being associated with a nun, I am not exaclty clear. It is an old association. Many of the traditional associations for certain cards are no longer relevant as they have become obsolete in modern times. There must be a connection with sorrow in here. Perhaps as a bride of Jesus, a nun had to live with the sorrow of never having proper relationship in the physical sense. Or we must also remember that very few nuns signed up to become nuns in the past but were forced in by family. They had to give up their life, their name, their identity and all hope of having a relationship. This must have been a dreadful sorrow to bear. Nuns also renounced all creature comforts and lived frugally. Theirs must not have been a happy lot. I must do some investigation into this. Perhaps other readers may be able to throw some light on this for us. Thank you for creating this blog, it has helped me when the tarot was a big part of my sanity and now that I am looking into it again, after a year long hiatus. I find it very complete and enjoyable, specially the stories. Do you have any idea of why are the cards so compelling? I have been drawn to them since I was very little and I have the overwhelming feeling that they always speak so loudly… that is why I ran away from them. Maybe I shouldn’t, maybe I should. Any tips to deal with these overwhelming feelings? Thank for your lovely comments. Yes, I think most people who have spent time with tarot will also tell you they have spent some time away from it too. Usually it is because it can be overwhelming at times, especially when it is being brutally honest. I think many underestimate the effect on our energy bodies when we begin to study tarot. Any study of metaphysics, or indeed holistic therapies open the chakras and increases our psychic awareness whether we are aware of it or not. When we pick up the tarot it is with the intention of accessing hidden or reluctant information from within ourselves or from others who seek a reading from us. By doing so we activate the brow (third eye) chakra and our dowsing skills. Both the brow and dowsing ability may have lain dormant for years or has be under-utilised. In some people the sudden activation can be quite strong while in others it can take a bit more effort and is therefore less obvious. Sudden activation can sometimes lead to feeling fearful of the cards as if they have a strong independent power. The power is generating from you, not the cards. The tarot cards simply act as a trigger or catalyst. It can be crystals that does it for another person, Reiki, rune stones, aromatherapy etc. When the third eye and dowsing skills activate rapidly they can cause a rush of impulses and flashes of insight, images, colour and increase our awareness of energy fields around us. If you have been drawn to the cards since childhood, then it is likely the images triggered the response in you and have ever since. All you need to do is pick up the cards and whoop, everything opens wide and you get an onslaught. This can be wonderful when we are trying to get to the bottom of an issue and when clarity is hoped for. Most readers actively want the cards to speak loudly to them and work towards that end. You may find their directness a little scary but if it is the truth they are offering you then you should not be concerned. That is unless you are opting for a negative association all the time. Are you interpreting their messages in a constructive or destructive manner? If you are experiencing overwhelming feelings when you work with tarot, it is probably an indication that you are too open, as in your chakras are flying wide open. This will exhaust and wear you down. It will be the reason you put the cards aside. I am not sure if you practice any form of psychic or energy protection before and after reading. If you don’t then it might be a good idea to start there. You need your chakras open during a reading to channel information, but no so open as to overwhelm you. Practice chakra exercises that teach you to expand and contract your chakras and energy fields. An easy method is to stand in a relaxed state of even breathing. Visualise your root chakra and inhale deeply. As you inhale visualise your root chakra contracting as if controlled by a muscle. On the exhale, do the reverse by expanding the chakra. Repeat this several times until you get a strong sense of contraction and expansion. When you feel comfortable with it, set the intention that you are going to expand your root chakra and then contract it to just the right balance, not too open and definitely not too closed down, so that you are in control of your energy field. When you get a sense of that, do the same contraction and expansion exercise on all the remaining chakras until you feel control. This will put you in the driving seat as to the level of incoming and outgoing information you are comfortable with in any given situation. When reading, you should aim to open your chakras more than you would on a normal basis as you are dowsing or divining for information. However, it is very important that you contract them back once the reading is over. Before you pull your chakras back into normal operating position, you need to cleanse them of any psychic debris or unwanted energy contamination from a reading. You can cleanse your chakras by visualising white light or the violet flaming pouring down through the chakras. This can again be done by inhaling the light through the chakras and then exhaling the debris for cleansing. When you are finished visualise white light being sucked in through your crown chakra. Inhale it all the way down to the soles of your feet and allow it to pass through the floor beneath you which will help with grounding. Grounding is essential for anyone with brow chakras that tend to fly open at the sight of a tarot card! The more you practice this, the more your energy field will become accustomed to opening and closing as needed. You should cleanse and protect your reading space too. 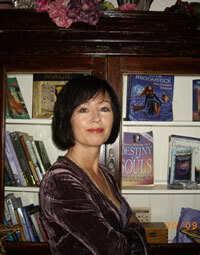 Here are some links to pages on my site with information on psychic protection, cleansing and grounding. Thanks a lot for the super quick response! And to be honest, I only said the truth. I haven’t read all your blog because it is HUGE. I know you have invested a lot of work and love in it, and it is one of the reasons why I love it. You know, I started looking for the meanings of the cards individually and after a few cards, found myself coming directly to your site and no other. And I am positive I am not the only one, I really don’t know why it is not the first option in google search. Anyway, you are completely right, it is brutally honest. And to be honest, I got scared. It was telling me a lot of things that I was not prepared to (consciously) know. And every time I read the cards, it went a bit further into any situation I was asking about. Right now, for example. I have taken up your advice and started a daily simple reading, and they are just downright accurate. And from just a simple two card reading! The other day I was sick and decided to stay home. I drew two cards and got the five of pentacles reversed and the 4 of wands reversed. I found it so descriptive and encouraging. Something like “It’s good that you are staying home today, you will feel better. You need to stay home”. Maybe I was reading too much into it. But well, to be honest I haven’t tried more complicated spreads, mine are pretty simple. And what do you mean by interpreting it in a destructive or constructive manner? I don’t think I completely understand that point. I have an example about a recent reading but it is really kind of personal to post it in the eternity of internet. Can I send you an email? To be honest (and this embarrasses me a bit) I had not taken grounding techniques or the chakras very seriously, it was for me a bit like buying into the juju and I resisted it, the same way I resisted the cards and the images. Thanks for the links, they are very informative. One question: when you say you visualize violet light is it because it is supposed to flow from the crown chakra? Also, I don’t know how to visualize, it is very hard for me. Is it like imagining that your arm is moving while it is not? Or saying things without emiting any sound? how can I visualize things? Yes, the violet flame, or light comes in through the crown chakra and is washed down through the other chakras before flowing out into the ground below. If you cannot visualise, then just think the word violet or white repeatedly in your mind and also think as if you are standing under a waterfall of of this light which not only runs down over your body in a cleansing manner, but also through your body. You are right, not everyone is good at visualisation and it can be quite hard. Some people respond better when using other methods. When you need to learn something or concentrate, which way do you normally approach it? You are picking up on the subtleties of tarot so you are using other senses. Are you feeling the information rather than visualising it? Re the manner in which you are reading constructive v destructive I ask this because over the years I have taught tarot, it is quite common in the early stages for students to rush to the more intense meanings of the cards when interpreting. This can cause alarm. I had a student some years ago who caused quite a stir at the end of class each night when the group did practice readings on each other. For instance when the Three of Swords was drawn she would immediately ask if the seeker had heart problems or ever had a heart attack? When she saw the Devil, she would issue dire warning of the seeker being surrounded by evil people. The class used to divert their eyes or slink into corners when I paired them up for exchange readings as they were all afraid of her predictions. She was a great sport and used to aplogise to everyone after their reading. From your comment above that does not seem to be the case for you, but rather they seem to be truly reflecting your current circumstances. It will all settle down in a while but seriously do try some of the cleansing, grounding and protection methods. Anything else is probably juju alright and I am right behind you on that one. The odd crystal or two is fine but really you need very few trappings to do a reading other than the cards and yourself. The rest is just theatrics. It wasn’t until I became a Reiki Healer and Reiki Teacher that I became aware of energy and how it can contaminate you. I feel energy around me in a very physical manner. It hits me like a blast of static electricity and can fill my head like a leaden balloon. If I move my hands around the area when the energy is coming from, depending on its weight, it feels like cobwebs. I struggled all the time, still do, with keeping grounded. After a day of healings I would feel top heavy in my head and totally spaced out. My balance was dreadfully affected and I felt as if someone had pulled the plug on me and drained me of energy. I was doing my cleansing, grounding and psychic protection but it still got to me. When I was first attuned to Reiki in 2005, my Reiki Master warned me about grounding as I had a very strong reaction to the attunement. I felt nauseated for days and couldn’t stand beside people without the hairs on the back of my neck raising and tingles down my spine. I hated travelling on buses or in cars with others as I thought I would implode with the pressure of energy in my skull. Standing in queues was another challenge as it would bore through the back of my skull too. It was both incredible and overwhelming all at the same time. So cleansing, grounding and psychic protection are the first things I teach in class so we can all start out on the right foot. Another example of the importance of the above is when I attended a psychic fair as a tarot reader some years back. There were two tarot readers including myself and three angel card readers. Before I set up my table, I did my cleansing, grounding and psychic protection. The other tarot reader acknowledged what I was doing and agreed she should do it but had become lazy. The angel card readers told me they didn’t need to do any form of protection as they had the angels looking out for them. I didn’t agree but said nothing as it was not my business to do so. It was a very busy day and I ended up staying over the time as there were so many people to get through. In the end I announced I was finishing up as I could no longer offer readings due to burn out. There was a negative reaction from the people queuing for readings but I honestly could do no more. The organisers did not book enough readers and we are not machines that can keep going. One of the angel card readers said she would stay on a further hour to do the extra readings and this appeased some, but others wanted tarot and not angel cards. The other tarot reader had gone home at the appointed time as she had a taxi booked. The following week I bumped into the angel card reader and I asked her how she got on after I left and what time she got out at. She said that everything had gone well and all were happy but when she got home she had a terrible night and following day. She had the worst headache of her life and had to stay in bed for a day with the curtains closed. She said she felt exhausted for the rest of the week. 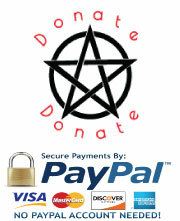 The thing is, be it angel cards or tarot, they both involve opening of the chakras for they are divination tools. The switch is flicked and you end up wide open. When I teach, either Reiki or Tarot, I compare it to leaving your front and back door wide open all day and all night, even when you go to bed. With the doors open, anyone and anything can traipse through your house and leave a mess, or their baggage behind. They can also sit in your house and invade your personal space. So clean up before the visitors arrive, tidy up again and air the room after they go, and then remember to lock up. Yes, send me the other reading and I will get back to you about it over the next week. hey i want to ask you about tarot reading i have got 10 of penti, reverse 5 of penti ,ace of wands, 3 of swords reverse, ace of panti reverse and ace of cups reverse. That’s a lot of Reversed Cards altogether and to be honest I would not be able to advise on them without discussing with you. However, I am suspicious of such a number of cards coming together. Is there a chance you reversed too many cards at the one time or too many in total? Only a few cards should be reversed randomly. So many leads me to believe you reversed too many. I would completely clear my deck and upright all cards. Leave the reading for another day and clear again before shuffling. This time, just reverse a few throughout the deck and then draw the cards. If all the reversed cards come out again, then you need to pay attention as either you know something deep down about the love reading that is negative or you are being warned. I doubt it is either as you would not be so confused about it. It certainly can be interpreted but I would rather you did the reading again asking a very similar question. The only thing that would spring to mind is that money, career, status or family stand in the way of this relationship. One may not be considered a right or appropriate match, a love that cannot be because of personal circumstances. Let me know when you next draw the cards pertaining to this. Pingback: Curved ball from left field – Oh, border! I tried to read tarot for my friend for looking for love. 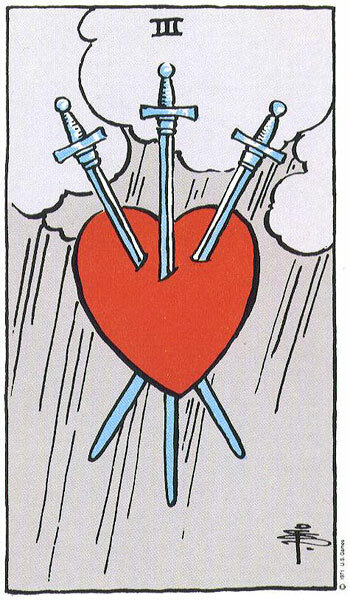 The card 5 was three of swords to indicate where to find love. I can’t exactly know where would that be based on the meaning of the card. I now come up a question. How to interpret tarot card for when and where? I’ve read couple tarot books, they don’t exactly tell the interpretations for where and when. How in a way to figure out the where and when in cards? Yes this is always a tricky area when tarot reading. When and where in tarot require applying a number of approaches when interpreting. The first thing one needs to do is forget about trying to interpret the cards on a literal basis as rarely will tarot oblige you in such a manner. This is the mistake many readers, especially new readers, make. They are looking for precise details for cards that when you think about it cannot oblige. If one asks where they will meet their partner and let’s say it turns out to be while sitting on a bus or train, how will any tarot card actually show you this in their imagery or association alone. Of course it is wonderful when the cards are easier to read such as ‘Two/Three of Cups’, ‘Four of Wands’ suggesting meeting at a social occasion, or The Sun, Three/Eight of Wands possibly suggesting while on vacation or travelling. These are quite easy to read even if they may not be accurate as personally I do not hold any deep trust in tarot giving such exact details, especially with timing. There are too many variables at play. When asking tarot for the ‘whens’ and ‘wheres’ of things, it is not a good idea to read the cards literally or take them at face value. Typically taking a figurative or subjective approach yields more options. Look for metaphors in the card meaning or imagery. Use imagination too. Also asking ‘When’ does not always equate any particular time-span. The answer to when one will find love may come down to ‘when’ they have achieved something, dealt with something such as a previous relationship, when their life is less complicated, when they have grieved, when they take the pressure off looking for love etc. Asking ‘Where’ is similarly loaded. To be honest the when and where positions in looking for love spreads or other relationship readings often turn up the strangest cards. When they are totally off, I take it to mean that it is no where on the agenda at present. I find people often seek out relationships and love at the worst times and wonder how they expect to be successful in their endeavors. Seeking love when one is not yet over a previous relationship – when it is too recent, when they are up to their tonsils in exams and study, when their career consumes their life, when they are struggling to cope with a baby or young children, when their finances are in tatters, when they are in debt, very bad health etc does not augur well. In these cases a strange or apparent negative card may simply be pointing this out. Looking for love when your life is in a heap is not the best time. So when in these cases could mean when you have sorted things out, when you have more time, when you are less stressed. The Fool appearing could be telling you that love will be found when you are free to pursue or give yourself over to it – the time is not right. In the meantime it may all be wishful thinking. 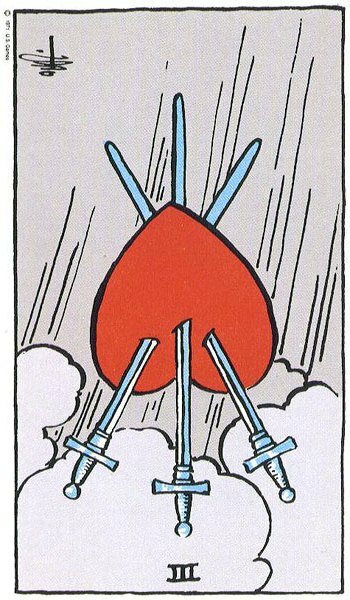 I would find the Three of Swords turning up as where to find love might be acting as a warning about heading into a potentially hurtful situation. Yes, love may be found but will it be worth it? You might not interpret this card in such a glowing manner. I recall a client who was asking about a particular person they were interested in. In the ‘Where’ would they meet position she too got the Three of Swords. I took it as a warning and told her to tread carefully. She came back to me some time later to enquire about the future of the relationship she had embarked on. The Three of Swords came out again alongside the Moon. This alerted me to secrecy. Something wasn’t right. When the Seven of Swords was drawn for further clarification on the Moon, I decided to ask her out straight if the person she was involved with was in a relationship with another or even married. I was right, he was married with three young children. When she asked about whether he would leave his wife and family for her, the two cards drawn were the Seven and Ten of Cups. I took this as a sign she was delusional about her situation. The Upright Ten of Cups suggested he would stay with his wife as he had too much to give up while the Seven of Cups saw her building castles in the sky and totally out of touch with reality. I reminded her of the Three of Swords from her previous reading as where she would find love. She found love, what she believed to be love, a possible one-sided love, by getting involved in a love triangle that was bound to end in tears. She became quite insistent that he would leave his wife and that she was happy to be a step mother to his children. Her Outcome card was drawn as the High Priestess. To me this implied that she would maintain her status as the ‘other woman’. So applying the figurative and subjective rather than the literal may yield better options to work with. Take the Two of Cups in the Where Position. Literally, this could mean at a party, wedding, or social occasion. Ignoring the literal approach we might see the Two of Cups as someone handing something to someone, possible serving them. Could it be the guy or girl who works behind the bar you frequent, the person who chats to you on the bus or train you think just being nice and friendly but in truth have grown to look forward to seeing you each day? The Eight of Swords could be suggesting that ‘where’ is the train or subway you cram into like sardines each day in your effort to get to work. Could this be where you will find love? Timing is also dealt with in a similar manner. Depending on the system you follow and which side of the equator you live on, Wands can mean Spring, Cups -summer, Swords – Autumn and Pentacles- Winter (this varies from system to system). The number on the card can mean days, weeks, months. Ace of Wands could mean the first day/Week/Month of Spring for example. Pages could mean the early stage of a season, the Knight – early to mid, The Queen Mid to Late and the King Late season. There are several other methods which you will find by doing a bit of research online. Remember When does not always return a literal response. It is always best to read the spread overall rather than on a card by card basis. The cards will not always fall in the correct sequence or where you think they should. Even with the best will in the world, they can end up disjointed and scattered. If it all looks very strange or if one card seems to be out of place, a good idea is to draw a couple of extra cards to flank the ambiguous one setting the intention you are looking for greater insight into its meaning and relevancy in the spread. These cards should clear up matters, but if not, use the uncooperative card as the basis for a further reading. I do hope the above has helped in some way.